The concepts of altered states and psychedelia creep in to a great deal of visual art. According to Lewis-Williams, some early forms of Palaeolithic rock art may have been shamanic in origin, and represent forms seen during visionary states. 18th Century works such as Fuseli’s The Nightmare (1781) depicted the ‘old hag’ phenomenon, a type of hypnagogic hallucination that is experienced on the threshold of sleep, during which a person feels as though a daemon or other supernatural entity is suffocating them. In the early 20th Century Henri Michaux created impressions of mescaline experiences through scratchy ink drawings, while the surrealist movement borrowed ideas from Freudian psychoanalysis, seeking to create symbolic works that provoke the irrationality of dreams and the unconscious. The wobbly typographies of 1960s concert posters represent yet another take on psychedelia, while more recently artists such as Fred Tomaselli and Alex Grey engage with hallucinatory themes through intricate optical patterns and symbolism. For instance, the latter artist depicts the fractal worlds and transcendental beings one might see during intense experiences of psychedelic drugs such as DMT. 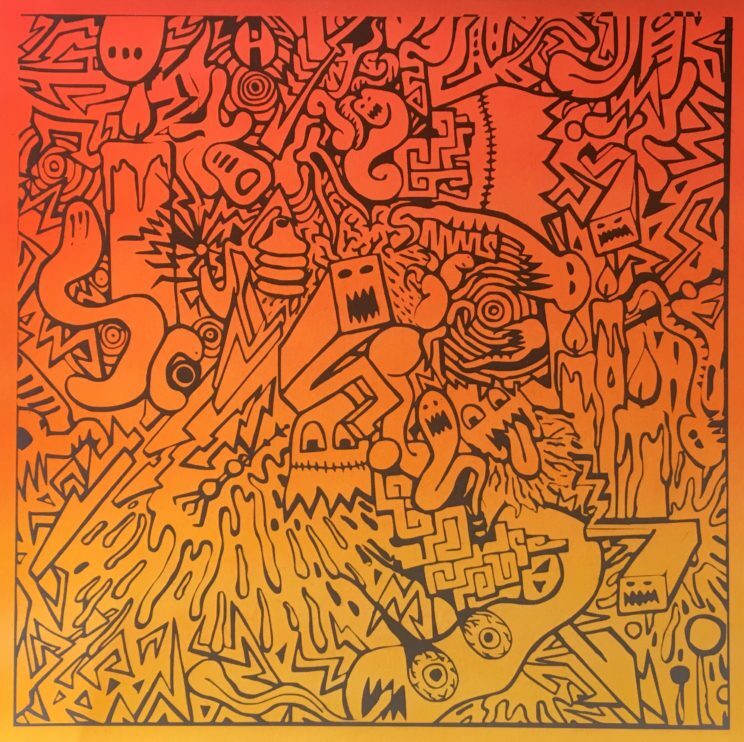 With such a diverse range of work, one might wonder what constitutes good ‘psychedelic’ art? Speaking at Breaking Convention, the UK’s premier conference on psychedelic research, Erik Davis (author of Techgnosis, 1998; Nomad Codes, 2010) offered some useful insights. Exploring contemporary attitudes towards the psychedelic experience, his talk emphasized ‘the weird’ as a vital imperative for psychedelic culture. While some groups advocate the rational, scientific investigation of psychedelics for treating conditions such as depression, others seek to use them for ‘sacred’ mystical, spiritual or religious purposes. Yet Davis draws some criticism of both these approaches, since they are in the business of denying the existence of ‘bad trips’: the overwhelming, terrifying or unpleasant experiences that people can have on drugs such as LSD. While few people would actively seek such negative experiences, for Davis these weird reactions are also essential to what makes hallucinations interesting. He argues that psychedelics elicit a ‘weird’ state of being: at once dreadful and transcendental, dark yet spiritual, and situated at the boundaries of rationality. 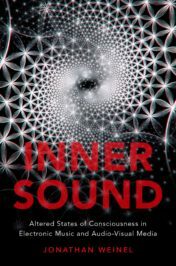 In correspondence with this, he points towards the importance of weirdness as a vital feature of psychedelic culture. He finds the origins of a ‘weird’ aesthetic in works of Shelley and H.P. Lovecraft, but also in the bizarre, ‘low-brow’ work of artists such as Robert Crumb, whose underground comic Weirdo (1981-1993) can be seen as a more profane, Generation X take on psychedelia. This idea of ‘the weird’ resonates with my own practice as an artist exploring synaesthetic forms through visual and sonic art. At Breaking Convention I presented one of my recent works, a 40 minute video mix incorporating hand-painted frames and computer graphics, which accompanies an album by the psychedelic rock band Hibushibire. This piece and my recent paintings, several of which have recently been on exhibition at the Carbon Meets Silicon 2 exhibition in Wales, aim to provide a sensory overload of scrolling neon imagery and geometric patterns. Running in high-definition at sixty frames-per-second, the video piece is intentionally fast and at times difficult to watch, imitating the form of hallucinations, during which one may see kaleidoscopic imagery and rapid waves of associative imagery in response to music, admist an explosion of synaptic connections. In this piece and the recent paintings I have been working on, I frequently work by improvising drawings, code and symbolic imagery in response to music. I also take inspiration from an eclectic range of influences, some of which might well fit with Erik Davis’s concept ‘the weird’. 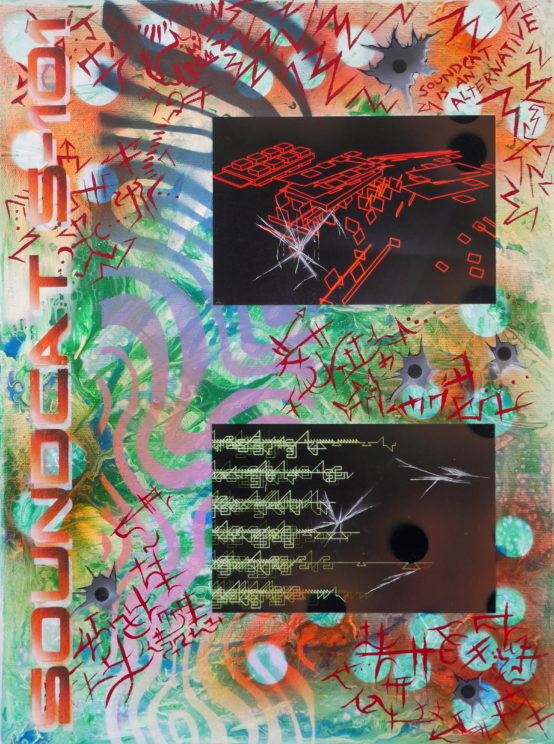 These include: underground comic artists such as Jim Woodring, Will Sweeney or Zeke Clough; thrash metal record sleeves and 90s rave fliers; William Burroughs’s ‘shotgun paintings’; and the graffiti of Kenny Scharf, whose science-fiction scenes resemble a hallucinatory version of The Jetsons. 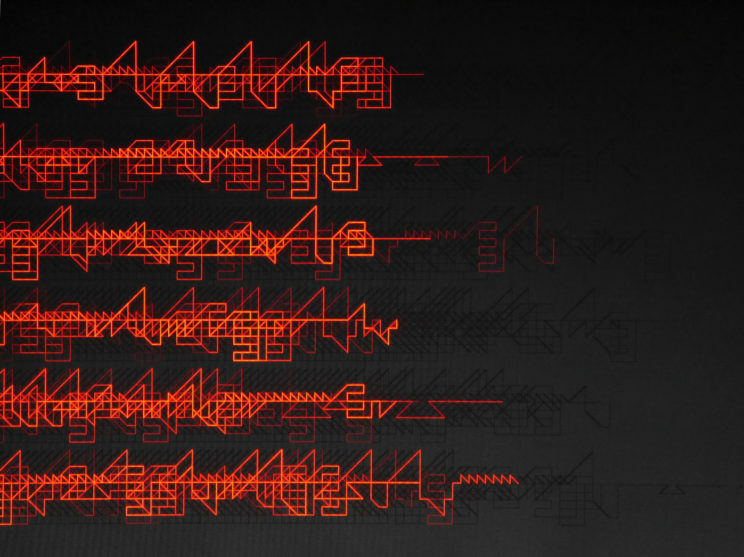 I am interested in linguistic deconstructions and cryptic typography, as found in the graffiti art of Rammellzee; in the plotter artworks of Manfred Mohr; and in the hallucination sequences of Grant Morrison’s The Invisibles comics, where incomprehensible alien writing is used to indicate communication with supernatural entities. My artworks also frequently reference the surrealistic worlds of 16-bit video games and demoscene art, incorporating luminescent patterns of infinitely scrolling imagery, not unlike the hacked video screens of Cory Archangel. Through these explorations I am developing a language in visual art that traverses various symbolic references gleamed from the stream of consciousness, in a way that imitates the synaesthetic function of visual hallucinations by channelling sound into the visual domain. 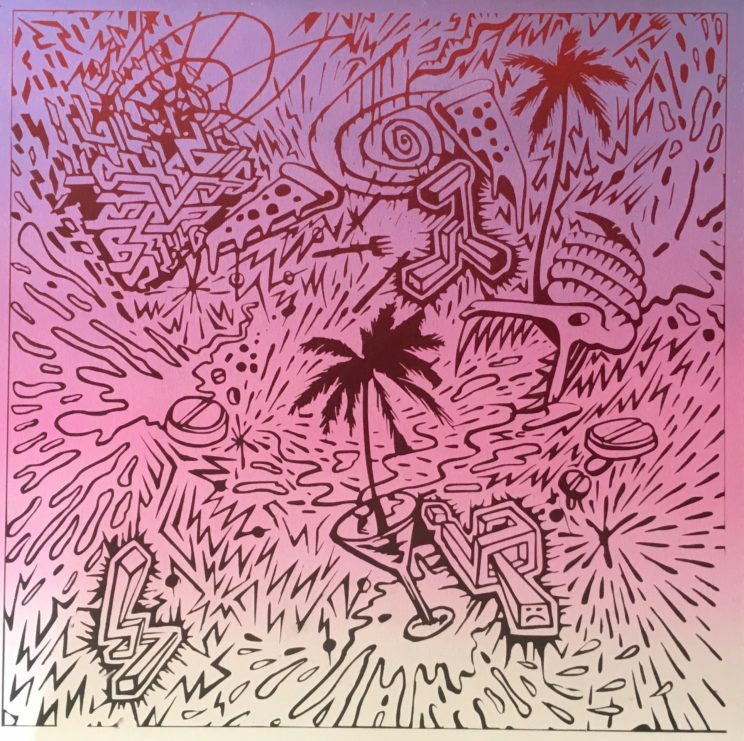 I do not aim to offer a ‘sacred’ view of hallucinations but instead offer a more irreverent, punk take on psychedelic art that is situated firmly at the weird end of the spectrum. 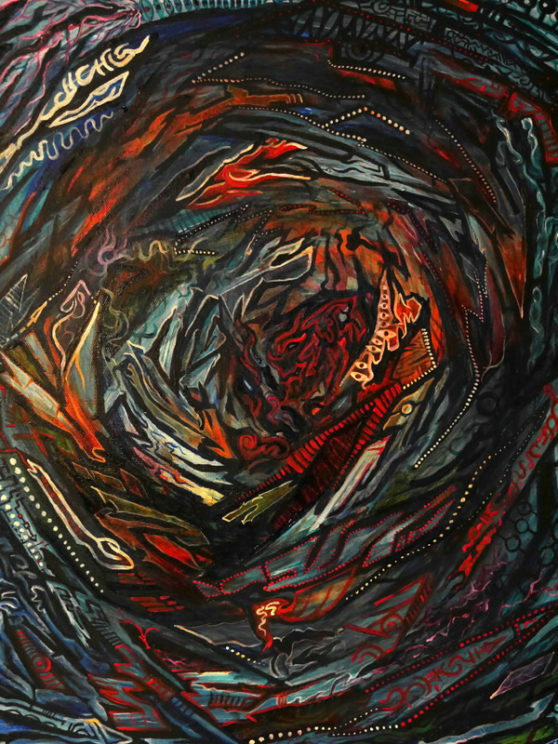 Vortex, acrylic on canvas. Image: Jon Weinel, 2017. Seasons in the Abyss, acrylic on canvas. Image: Jon Weinel, 2017. 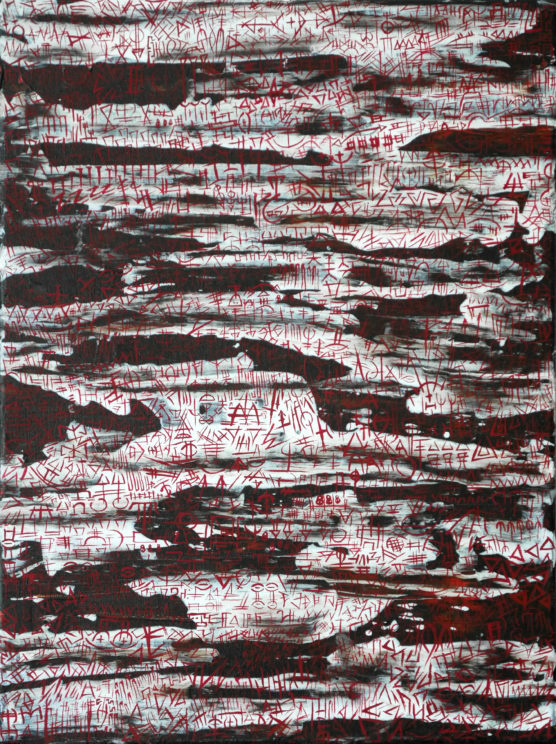 Enter Sound Cat, mixed media on canvas. Image: Jon Weinel, 2017. Purple Traps, airbrushed acrylic on paper. Image: Jonathan Weinel, 2017. Trip at the Brain, airbrushed acrylic on paper. Image: Jonathan Weinel, 2017. 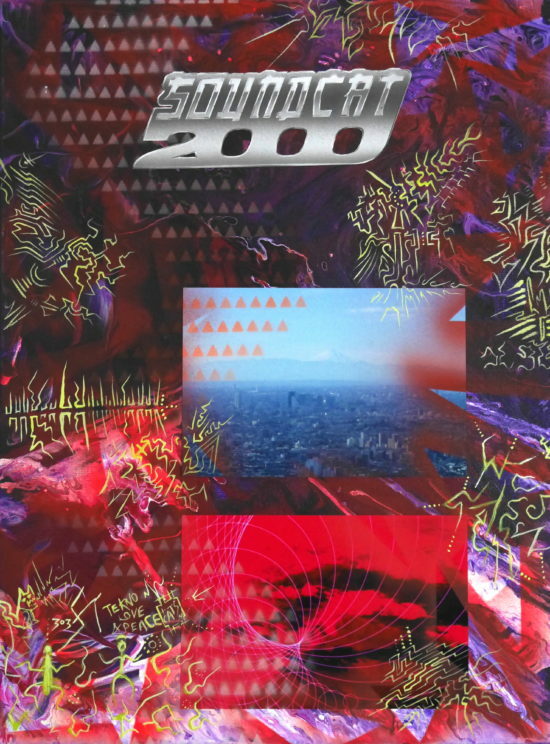 Soundcat 2000, mixed media on canvas. Image: Jon Weinel, 2017. 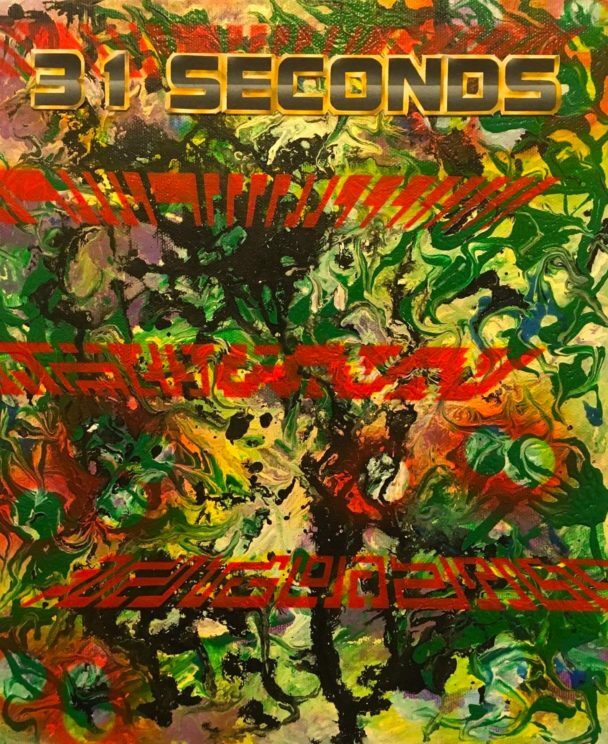 31 Seconds, mixed media on canvas. Image: Jon Weinel, 2017. 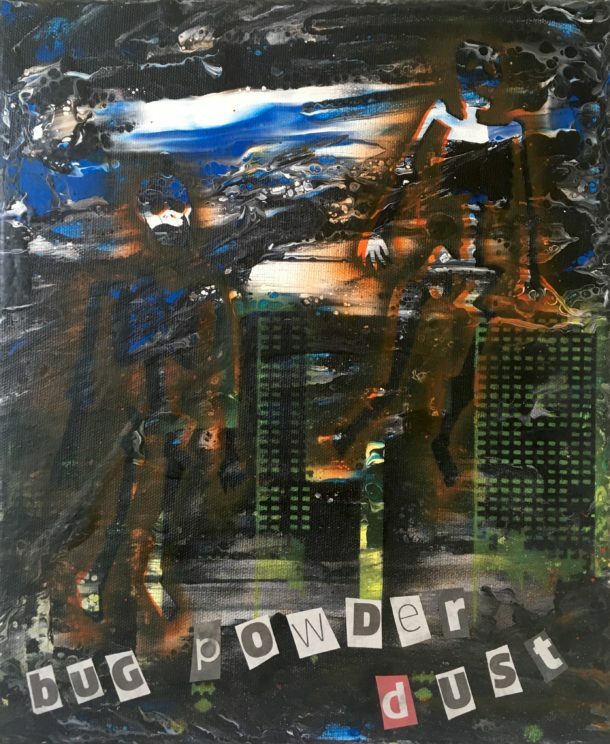 Bug Powder Dust, mixed media on canvas. Image: Jon Weinel, 2017. P-1500876, algorithmic digital artwork. Image: Jon Weinel, 2017. 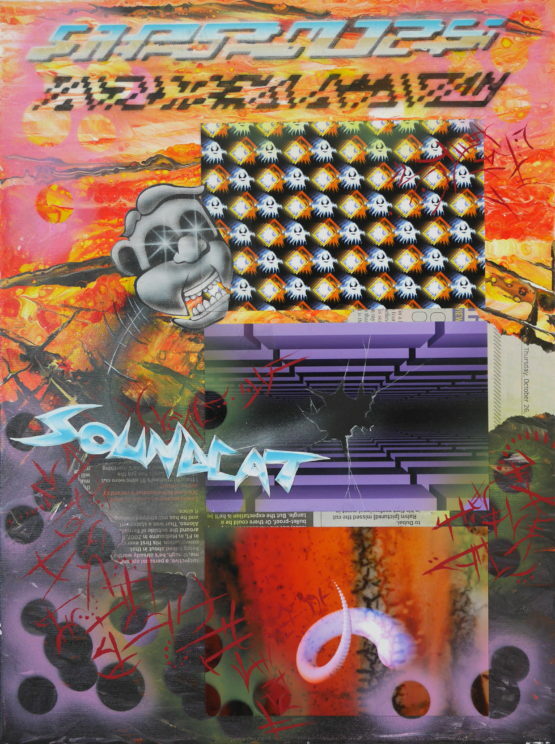 Soundcat S-101, mixed media on canvas. Image: Jon Weinel, 2017. Featured Image: P-1500876, algorithmic digital artwork. Image: Jon Weinel, 2017.